A sensitive in-filling of a difficult gap site in Edinburgh. 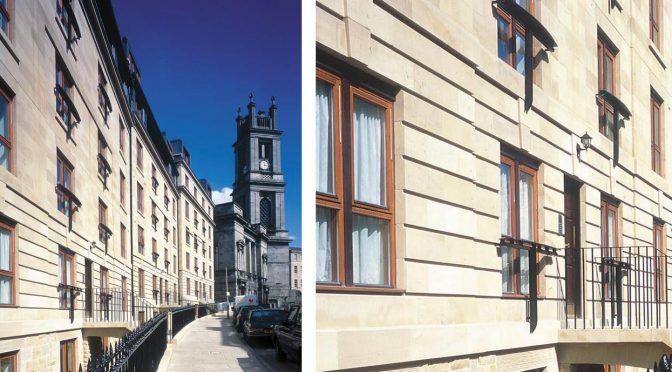 Completing a gap site in Edinburgh’s New Town with an understated, contemporary design, this example of urban infill to an early 19th-century crescent, provided seventy- seven luxury flats located above two parking levels. The scale and rhythm of the design was developed from adjacent Georgian townhouses with modern details and internal arrangements. Stone walls rise to a floating roofline, providing the penthouse apartments with a panoramic view of the city.